While big names are to credit for populating the Tablets worldwide, it is China that bring tablets to an affordable price range for the people in developing countries. However this comfort comes with doubts and questions due to the reputation of ^China products^. 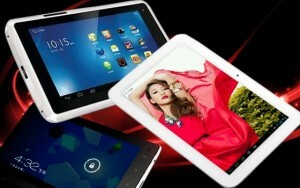 China made Android Tablets are available in amazing price range and in all size and shapes. But are these China made tablets really reliable enough? Among dozens of unknown brands of these cheap tablets how we know which ones are trustworthy? For a non-technical person, understanding the technical details (aka specifications) is not a walk in park so here are some basic key features and numbers you can look for to find yourself a decent China made Android tablet. Android Version: First thing you look for is the version of Android OS that tablet is running. As of now current popular version is Jelly-Bean (4.1 to 4.3). Next version in line is KitKat (4.4) and before Jelly-Bean the most reliable version was Ice-cream Sandwich (4.0 to 4.0.4). Only look for these names or numbers and above. Processor: In case of Android, More is Better literally. Never pick any Android tablet below 1Ghz. Try to manage a dual core tablet if quad core tablet are out of your range. However spending some extra amount on a decent quad core android tablet will be the wisest decision you will make. RAM: These low cost tablets often come with 512MB of RAM, which sounds and looks good in their promos but in reality they are a big let down, they crashed more often and you will not be able to install great collection of Android apps and games either. 1GB or more Ram for Android tablets is a choice you should go with or be ready to face occasional software/app crashes and other memory errors. Storage: Built-in storage options for these tablets are starting from 4gb but it is strongly advised to buy an 8gb or better. Buy a tablet with SD Card expansion slot and invest in at least a 16gb memory card. Screen Resolution: Resolution is important on tablets because of their big screens. Try to choose at least 1024 based screen resolution. Less would work too but it will not deliver a pleasure viewing experience. Screen Type: It has to be a Capacitive Screen for smoother and faster touch experience. Make sure it doesn’t have a Resistive touch screen. Use the screen to feel it. If it is responding to your touches instantly, you are good to go. If you want tablet to use in the bright day light, do not trust on the words or terms of retailer or the purchase package, just look screen out in the open or take the sample tablet in the direct sunlight yourself. Google Play Store: Make sure the tablet you are eyeing is coming with official Google Play, which is Android’s app store. Without it you will not be able to install apps. Since there also exist some low quality android tablet manufacturers which are not licensed to use Google play store officially and hence there’s no Google play store on those tablets. Research: Do not buy your pick right away if you like how your selected tablet looks and feels. Note down the brand name and model of tablets you like and go online. Confirm the specification as you were told by shops. If you can, watch some review videos, articles and read feedback from users before finalize your purchase. Let’s be honest for a moment and be realistic, China brands are China brands, if they work, they work. If not, you are on your own. In some countries even the official supports are not as good as they say so clear things with the sales office about after sales support conditions. For that I strongly advise you to go to a dealer or shop and have a hands-on experience of your desired product, purchase it after checking the unit for yourself. Buying online is not a good idea especially for unknown brands. Important Reminder: You also have to remember that when you set your mind to buy something low-cost, do not try to compare these budget tablets with well-known brands such as Sony, Samsung or Asus. Good reputed China brands works great for their price but again, they may be not be on the same level of expensive brands.